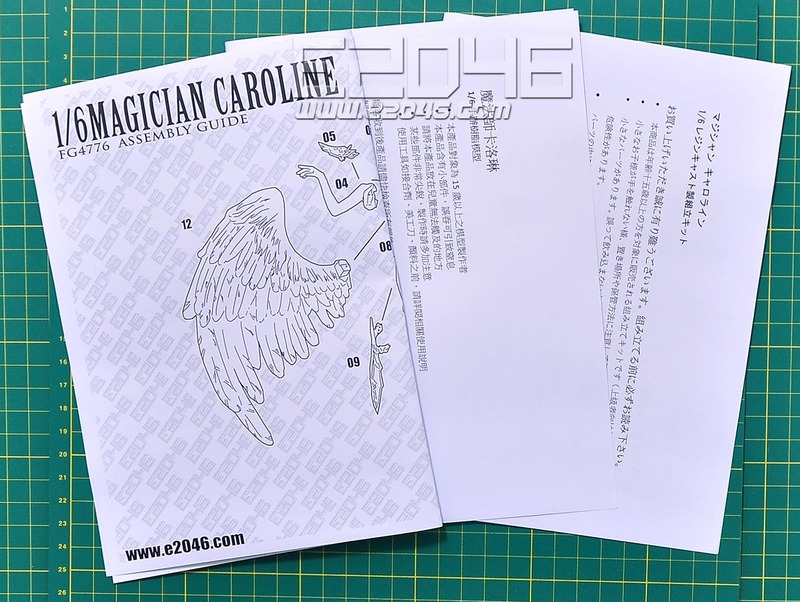 Magician Caroline A mysterious sorceress of the Light Elves. She researches magic all the time in a mountain cave covered with snow. 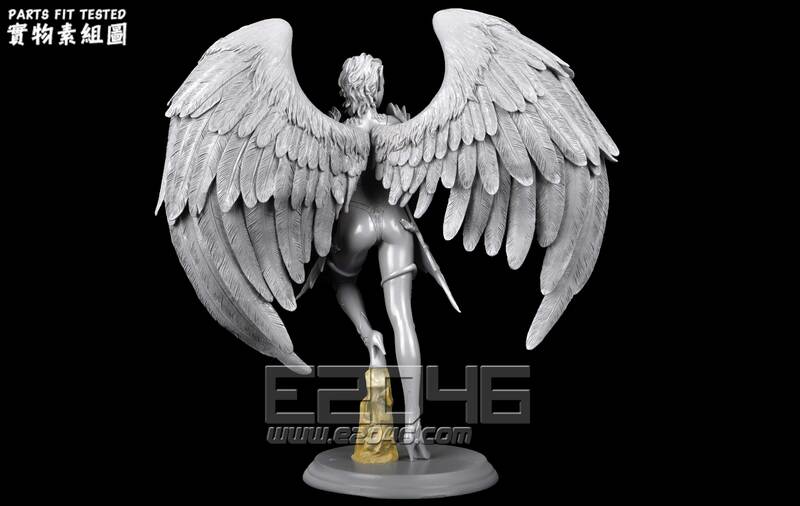 Her pair of huge wings and her silver white short hair make her a beautiful lady. A specially designed ice pillar is where her foot sits on. An astonishing work with goodwill. Fast shipping, very good packaging, delivery time about 2 weeks to Ukraine. 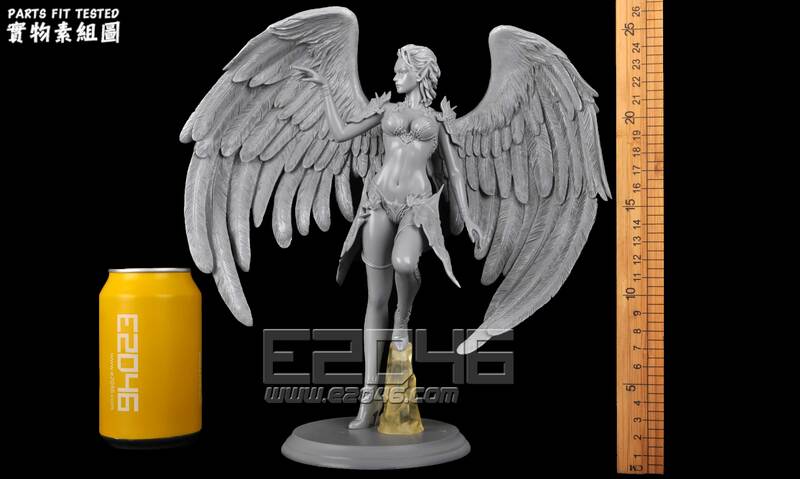 Figure is tall and has huge beautiful wings. Quality of all part is great. perfetta in ogni dettaglio, resina solida, sicura e priva d'imperfezioni, sempre eccellente come materiali e lavorazione. A E2046 : Arrivé rapide en tout sécurité . Un de mais modelé préférés ( super ). 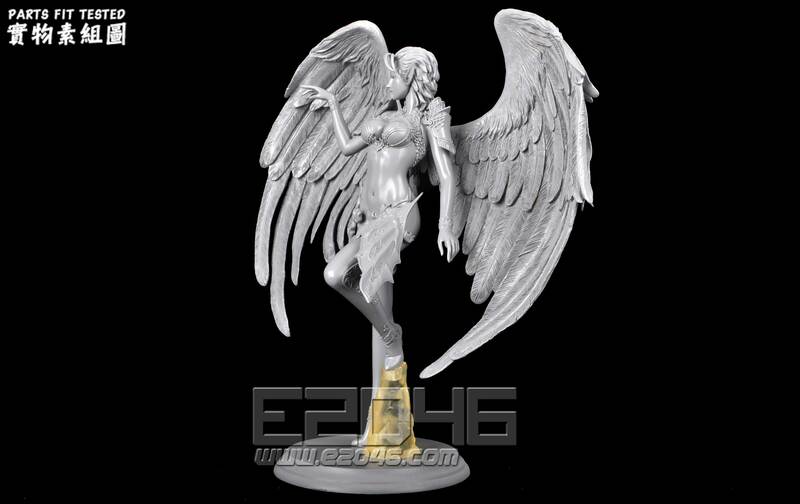 Really nice figure, the wings are dominant and as such call out for really fine detail. They do not disappoint . Now I have to think about holding them in place. One of my favorite models inspired bf the Kamael from Lineage 2. Very detailed and good cast. Arrived safely. Looking forward to building her. 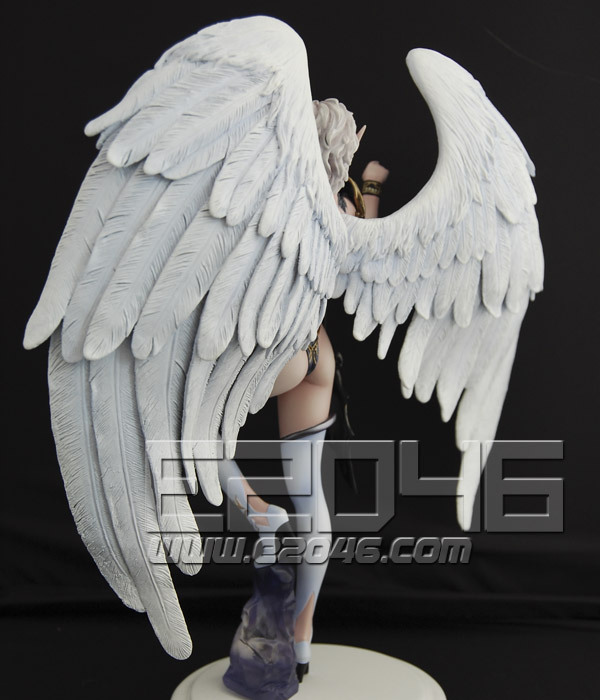 Beautiful figure with nice detailing on the wings, impressive piece. gorgeous kit, the wings are very detailed and huge, not much clean up work to do. Arrived in perfect condition, packaging unmarked. On initially inspection all parts look good, no visible blemishes or blowholes etc, which I have become to expect form E2046. 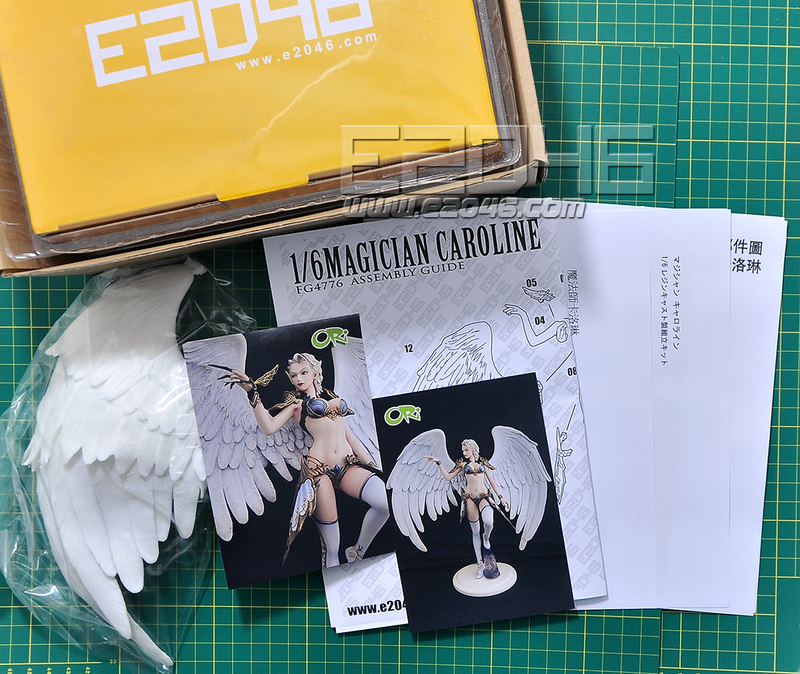 Lovely garage kit! Very good quality and really cute. Can't wait to work on it. Good quality and nice kit. Kit hat eine ordentliche Qualität,an den Details und bei den Flügeln sind einige Nacharbeiten erforderlich.Passform ist gut. Great model. Thanks a lot. Made the mistake of ordering her from some other company, came broken and lousy detail. Found her on e2046 and very satisfied with the detail that went into her. They were very good goods. Excellent model. Arrived quickly. Thank you very much. I love this store. Amazing!!! Just receive the model and I'm completely satisfied. The package came in one week to Cyprus, extremely fast (from other stores in UK for example, one order takes 2 weeks to come). The casting of the model is perfect, only very little job is needed. I have to say that at the begging I has scared to order but finally there is nothing to scare and the customer service is great and very helpful. Well done. All parts of the kit arrived in perfect condition. There looks to be very little surface work and fitting before I can start painting. The wings have a ton of detail. Nice kit. She comes with shoulder-pads and thigh guards that slide into place using nifty magnets, which is very cool. I've dispensed with the thigh guards to show off her lovely legs. Figurine Super! What are her huge and beautiful wings! She is very cool, I recommend to all! beautiful kit and awesome wings!!! Thanks for a kit. Quality of casting very good, detailed elaboration of a figure the excellent. Has reached quickly and without problems. 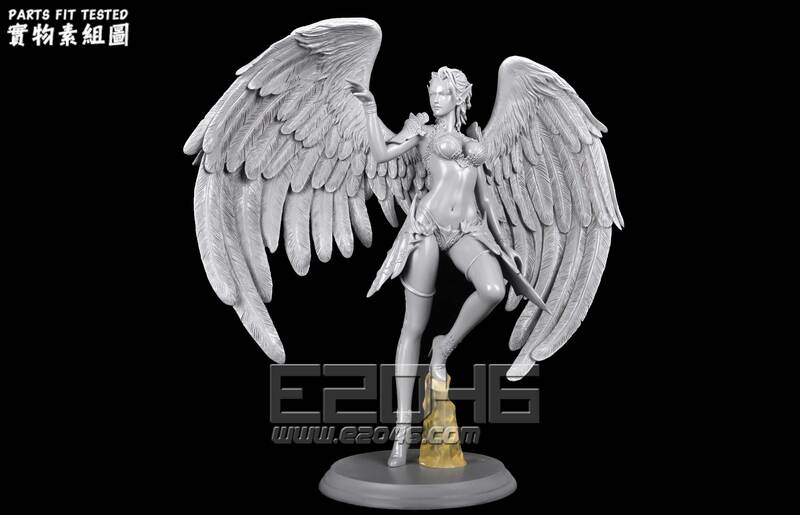 The winged girl will perfectly be entered in my collection elf!! Yours faithfully Anastas. 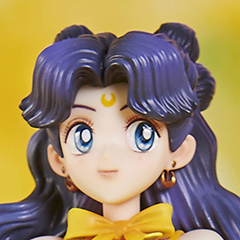 The model kit has a very good quality. 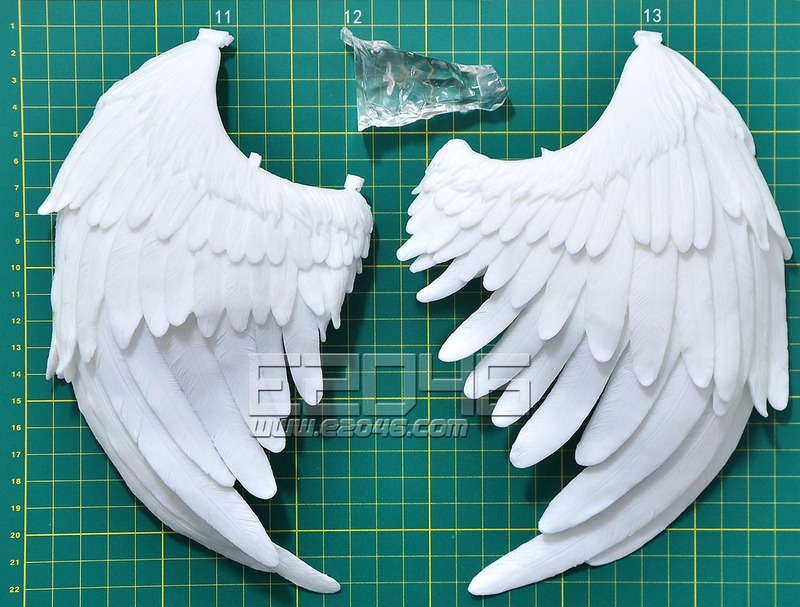 Beautifully detailed wings. Packaging excellent as always. Excellent! Very clean sculpt, and excellent cast! Very detailed sculpt! Great model kit and reasonable priced. The figure arrived sealed in a box with no broken parts. The detail on the kit is good and the parts fit together very well considering some of the other models I have gotten from other companies. Thank you for an easy, smooth & pleasant transaction. Perfect quality GK, packaging protection perfect for transport. Very good job e2046 ! The kit have probably the most beautiful wings i've ever seen. The character is cute too. Good details. Nothing broken as always, due to the good package. Totally satisfied. Item arrived well and safe, everything is in perfect condition and resin has nice quality. Its very detailed and parts fitting well. Thank you. I really like this kit. 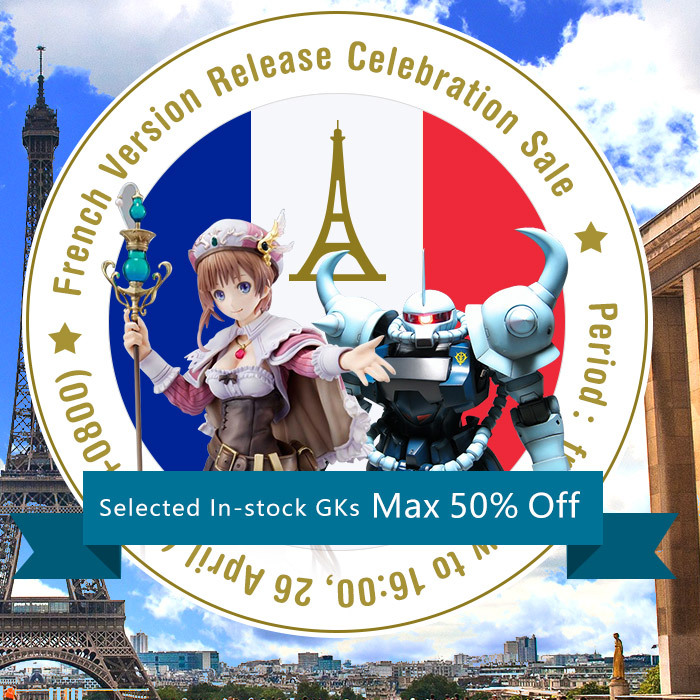 The casting is high quality even compaired to other kits I have purchased from this site. The detail work on the wings are flawless. This kit was a little more expensive but it was well worth it. The shipping was great also. None of the parts were chipped or bent.